We specialize in teaching poker to the senior community. We do this by hosting fun social poker games for your clients. This is for entertainment only! No actual money can change hands between the players. We provide everything you need; casino quality poker chips, poker tabletop and a fresh deck of cards with large face type. A professional dealer handles the cards and makes sure the game runs smoothly. The dealer is also responsible to teach everyone how the game is played, using all the rules followed by professional card rooms. The dealer does this in a very patient and warmhearted manner. We understand how hard it can be to learn something new. 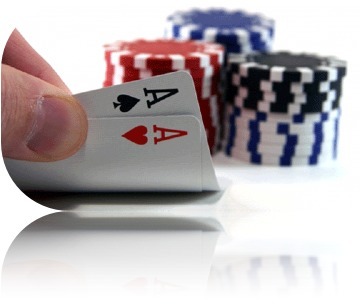 Everyone will have a strong understanding of poker and will be having a great time by the end of our session.